Hello, everyone! 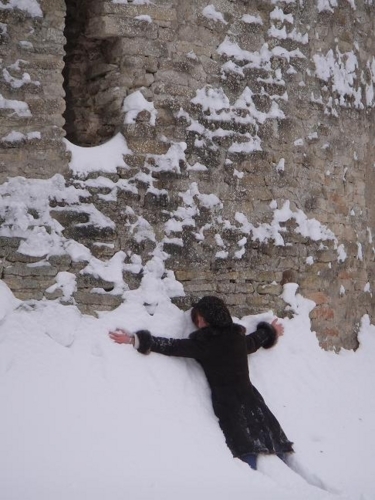 I’m writing to you from under the snow, it’s so cold here in Russia! Nyaha, the food for the New Year looks delicious, did you cook all of it yourself? And I’m glad that Japanese people showed interest in the Japanese-Russian movie event! Mr.Vasiliev looks really happy on all the pictures. So, as people say, better late than never, so I’m going to start my entry with describing how people celebrate New Year here in Russia. Russian New Year, as in most countries, is celebrated from 31st of December to the 1st of January. In the beginning of December, both houses and streets are beautifully decorated with X’mas trees and lights. On the 31st of December people cook delicious meals, invite all the friends and family members and wait for 00:00. After the President’s speech they make a wish and drink champagne. After that they eat, drink and enjoy fireworks till morning. But that’s not it. 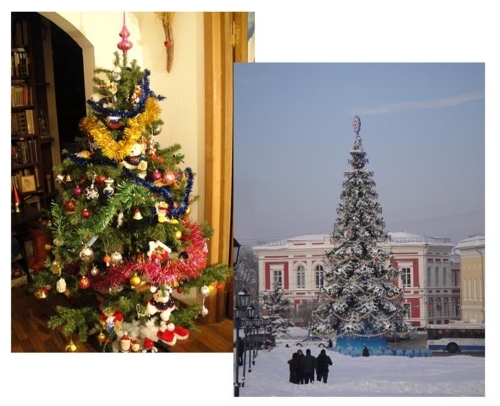 After that, on the 7th of January Russians celebrate X’mas, and on the 13th of January - the Old New Year. It’s the toughest thing to get beck to work after so much celebration so… I decided not to do so and went straight to Singapore for my vacation! 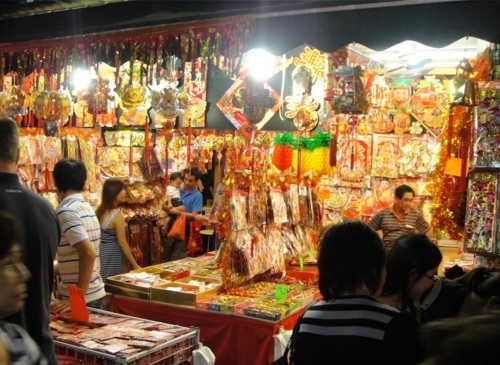 There are many Chinese in Singapore, so here they also celebrate Chinese New Year, which comes on the 3rd of February this year. 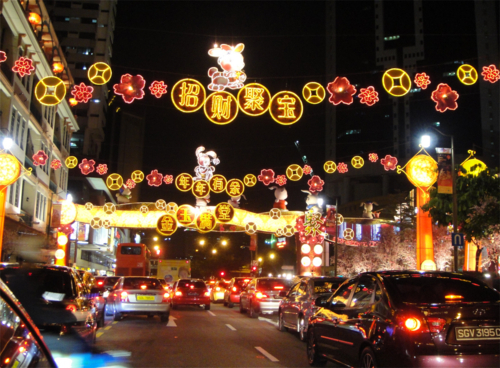 Chinatown and all the streets in Singapore are filled with lights and decorations, and there are many many rabbit - the year’s sign- decorations here and there! I’m sure it’s going to be a great day! But! When I came back totally and completely sunburned, I found out that there’s something strange in office… What do you think all these colorful pictures are? 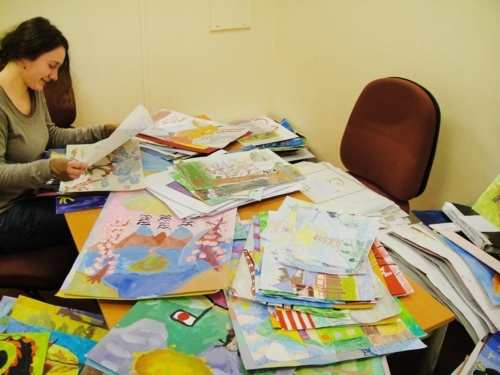 The thing is, that our office, together with Russian “Fairytale magazine” opened a Drawing contest among children. 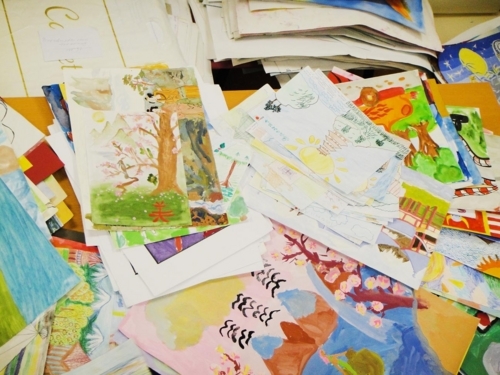 Children not only from Russia, but also from Ukraine, Belarus and Israel sent their beautiful works. Their number went up to 2800 pictures and their themes were also very different. The jury members didn’t know what to do with all the wonderful works and after 3 days of consideration they chose 412 works that won the contest. In March we’re going to post the winners’ works at our homepage, so don’t miss it! Cathy, now it’s your turn again!